What Is a Medium Peel (or TCA Peel)? TCA is the abbreviation for Trichloroacetic Acid, a colourless, crystalline compound which becomes liquid by absorbing moisture from the air. It is soluble in water, alcohol and ether. It is probably one of the oldest means of skin resurfacing with a chemical agent. When Do We Recommend It? Mild TCA Peels are usually suitable for all skin types including those patients with acne or sensitive skin. We recommend it for those with sun spots, hormonal pigmentation, sun-damaged, dry and oily skin with enlarged pores and even those with acne scarring. The treatment renews the skin by lifting dead cells off the skin surface and stimulating the metabolism of the cells underneath. A series of TCA peels can effectively improve the appearance of superficial lines and uneven pigmentation while leaving skin softer, smoother and more radiant. A course of TCA peels is recommended, based on your existing skin condition at the time of consultation and the desired outcomes. These treatments can, if desired, be repeated during the course of a year. 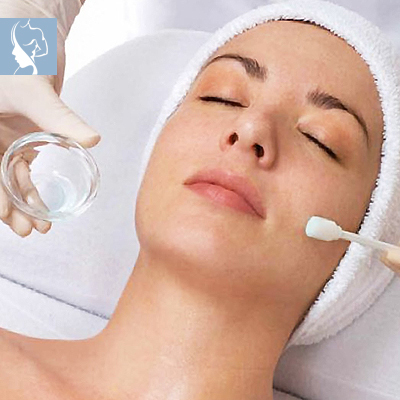 Alternately, skin maintenance can be performed with alpha hydroxy acid peels thereafter. In addition to chemical resurfacing with TCA to the face, these treatments can also be performed with outstanding results on the neck, hands, arms, décolletage and back. This is a great treatment for acne as well as for the rejuvenation of sagging and tired skin. You will not experience any pain or discomfort and can return to work immediately. The treatment should be repeated once a week for four weeks. A relatively short procedure, it only takes about 10 to 15 minutes to complete. Some patients may experience light temporary flaking of the skin about three days after the treatment. TCA is well suited for most skin types. The treatment has different levels, each designed for specific outcomes, and the condition being treated, such as acne, stretch marks or skin blotches. The procedure can be used on both the face and body, and no preparation is required. The results can be seen almost immediately. For optimal results, regular TCA peels can be done every six to twelve weeks. It is a very safe product, with no reports of long-term side effects. The treatment can be used in combination with dermal fillers, or other skin rejuvenation techniques as recommended by your specialist.